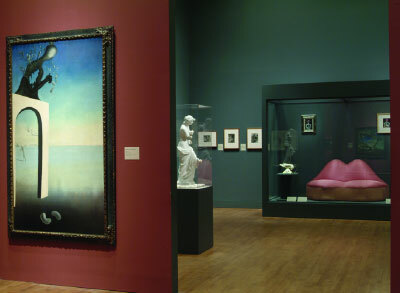 View of “Salvador Dalí,” Philadelphia Museum of Art, 2005. Photo: Greydon Wood. Hail to the newborn Salvador Dalí, so often scorned by the last century! Now resurrected in a retrospective for his hundredth birthday (in 2004), he is making a vengeful comeback that will open eyes both old and young. It turns out that he is not only still alive and well (the crowds goggling each painting were testimony to his miracle working), but he is also emerging as a surprisingly unfamiliar master whose work has yet to be integrated into art history.